Dance the night away on a private island and beneath the stars. Luxuriate in style as Indian Ocean waves lap gently onto the white sand beaches. 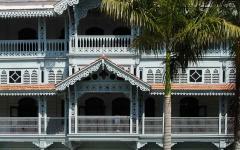 Immerse yourself in the exoticism of Stone Town and drift into the sunset on a wooden dhow. This is Zanzibar, which is an island of indulgence where romance thrives, and there is the sense that life can be perfect. With this handcrafted escape, you get three days on a private island, two days in Stone Town, then three more days on the beach near Kendwa. As the last shades of an African sunset skirt along the ocean, you will sit back with cocktails in hand. Moonlight soon brings a glow to the sand, and you can dance in privacy, seemingly miles from anyone else. On another day, you can drift into the sunset, sailing on a private, wooden dhow like the merchants of old. Some days, you walk hand in hand and along white beaches that will always seem to be empty. On other days, you will swim and snorkel, or perhaps just lounge around the bungalow in the shade. As the days roll by, you will realize that you have forgotten about shoes. There is more to Zanzibar than the beaches though. 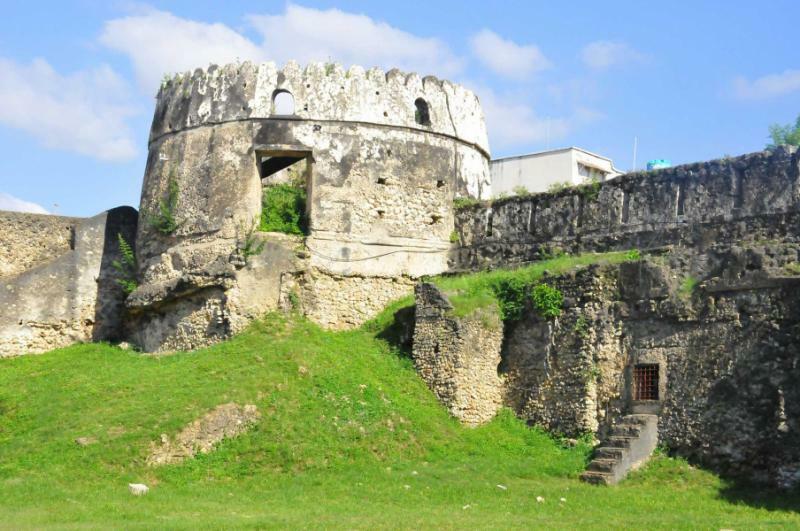 Between two contrasting beach escapes, this itinerary will also take you to Stone Town, which is an existing World Heritage Site that has evolved from Persian, Swahili, Omani, and other European influences. By visiting spice plantations, you will indulge in the smells, and on rooftop terraces, the cocktails will come with nibbles and a lively atmosphere. Stone Town makes a nice break between your time in the sun as well, removing any trepidation that six days on private beaches would bring any monotony. This is something you will not need to worry about with world-class snorkeling and diving, kayaking, sailing, beach walks, and those special evenings beneath the stars. 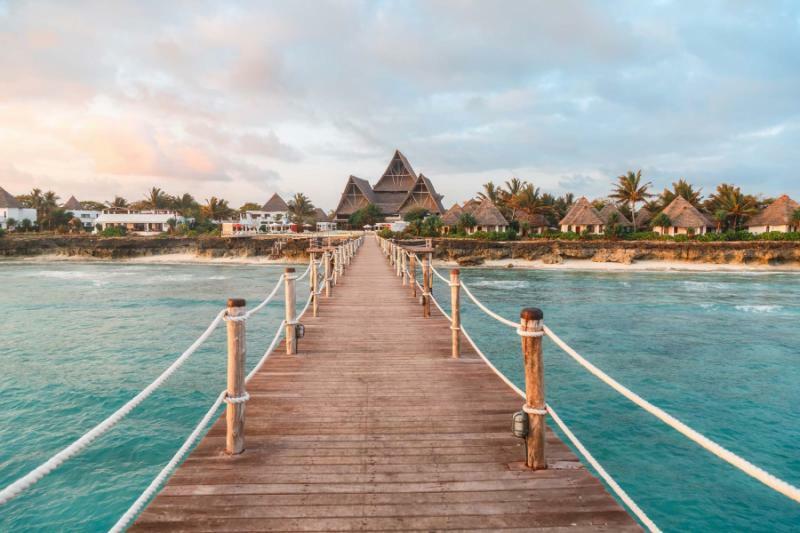 Handcrafted to include Zanzibar’s two most romantic resorts, this nine-day tour is a celebration that has been crafted just for two. 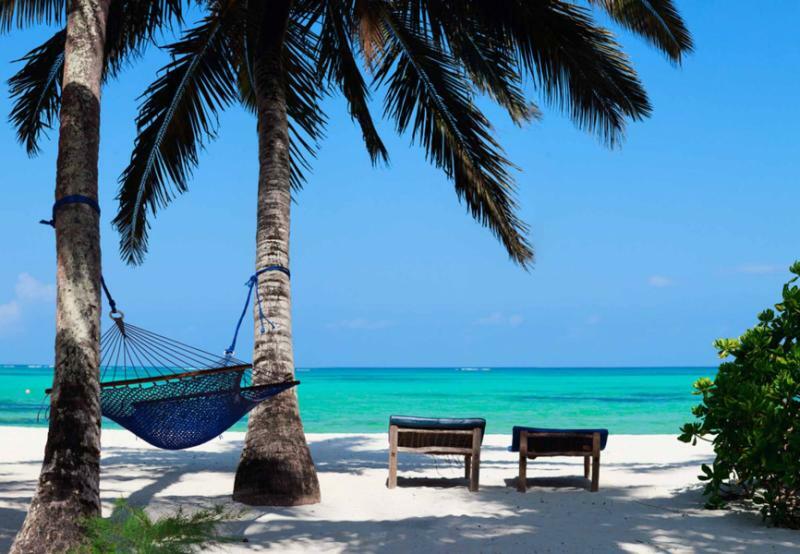 Mnemba is elegant and exclusive, and you will be staying at a white-sand island that will only be a short boat ride west of the main island. You will check in with bubbly upon arrival where your accommodation will be a bungalow that is cut off from the rest of the world. You can remove your shoes because these first three days are all about you, with a flexible program that can include different water sports and cruising on a dhow. Like your trip’s final destination near Kendwa, the resort will provide easy access to world-class marine sites with all the equipment. You will even have two dives per day included in your stay. 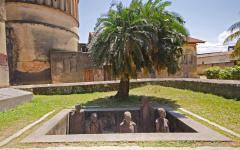 Stone Town is the cultural interlude, which is a mystical old city of narrow laneways and exotic scents. 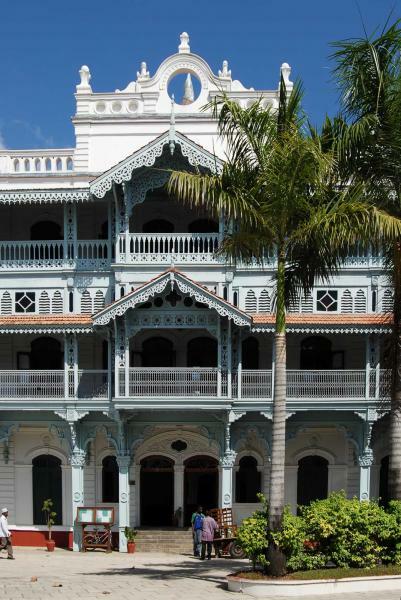 Stroll through all the history, checking out its unique architectural and artistic style, which is complete with ornate fixtures that enhance the traditional, coral buildings. There will be indulgence here as well, such as rooftop terrace restaurants and cocktail bars. From here you will travel an hour north to Kendwa, where your resort will be located on the deserted, northwestern tip of the island. It will be close enough to Nungwe if you desire restaurants and bars, but it has its own private space that opens onto a beach and is hardly visible to outsiders. Like in Mnemba, the days here will be flexible. 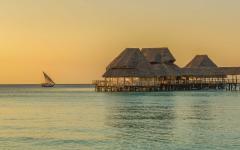 A wooden dhow will take you onto the Indian Ocean, and a range of water activities will be available. Your luxurious pavilion will provide shade and privacy along with all the space that you will need for your romance to flourish. There will be no need to encounter other guests, and butler service will bring foods and drinks to your room. You will also have a private swimming pool that will be tucked behind the trees. Rather than being directly on the sand, the rooms here are nestled against a hillside and offer more seclusion. 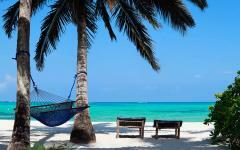 You will land in Zanzibar Town where you will soon you be cruising westwards through secluded islets and sandbanks. Laying between Zanzibar and the mainland, this area has shelter from ocean winds and a vibrant kaleidoscope of colors. 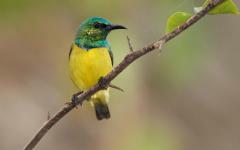 Mnemba is private, and as you arrive, it will be effortless to see the allure. Trees will carpet the interior while the coast will only be beautiful, white sand. There is only one resort on the island with only 24 guests. Shaded by the trees with an open view onto the ocean, your bungalow will be very much a reflection of Indian Ocean escapism. It will be silent here so you can stop, breathe, and listen. There will not be any waves as the waters are more like a lagoon than what you would expect from an ocean. A cork will pop, and you will settle into the seclusion. You can call room service if you need anything from grilled lobster to fine wines. The island has hosted Mick Jagger and Bill Gates among others and is as idyllic as the photos suggest. This is a place to escape the world and to be alone as a couple. Today, you can wake up and take a stroll, and even splash in the shallow waters as you navigate the island. It is less than an hour’s walk all the way around. Breakfast will be served in your private dining area, and it will be just as you choose, containing everything from Bloody Marys to coconuts that have been freshly cut from the trees. Coral gardens will slope off from beyond the beach and will provide a place to snorkel that is easily accessible from the shore. Many of Zanzibar’s premier dive sites will be in the surrounding area, and two dives per day are included in your stay if you desire to do so. You can also take kayaks out should you wish. 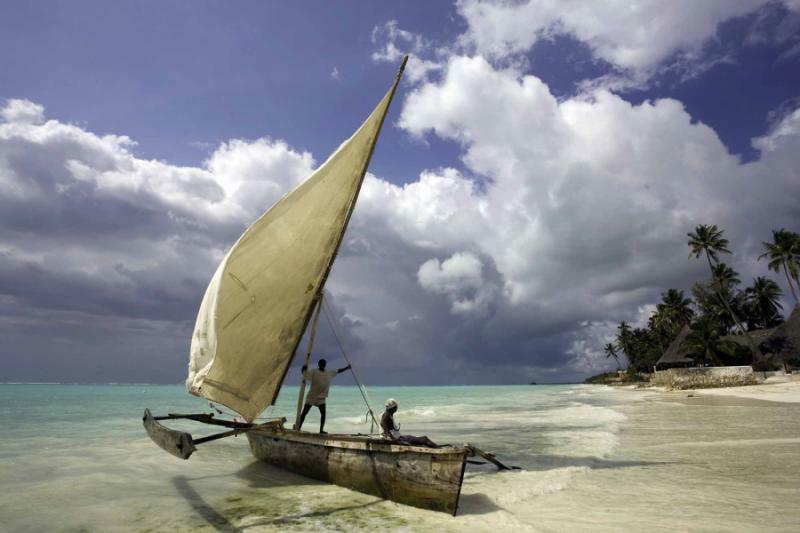 Wooden dhows have always been the traditional means of navigating Zanzibar’s waters. These wooden boats run on wind power and are serene and sublime as they drift through the archipelago. You will set sail on a private, sunset tour today. The dhow will be available throughout your entire time here, so extended expeditions can be made if you wish. When the moon is high, the beach will remain a beautiful place to be after dark, as its soft glow will be the only light that you need to stroll around without a care in the world. This third day will be left entirely free, and by now you will have settled into the island rhythm. 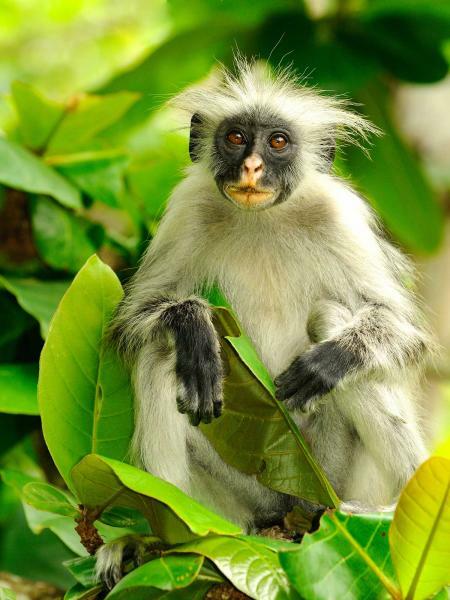 Zanzibar is an incredibly relaxed island, and Mnemba is the even-more-laid-back sister island. You may choose different water sports, take beach walks, mingle with other guests (the bungalows are spread across the island), and generally just luxuriate in the private setting. 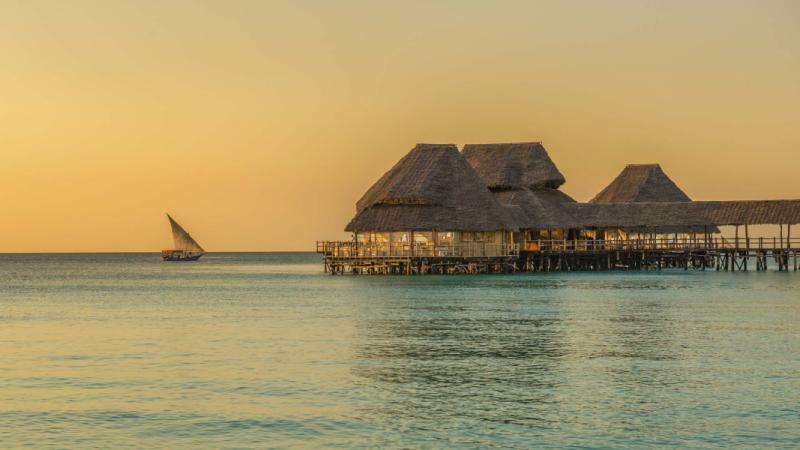 While the islands that are located further east are more famous, like the Maldives and Seychelles, the archipelago of Zanzibar will offer the same promise of exclusivity and escapism, as well as being just an hour by flight from great African safaris. After three days on the sand, you will be a little sun-kissed, and perhaps ready for a change of scenery. 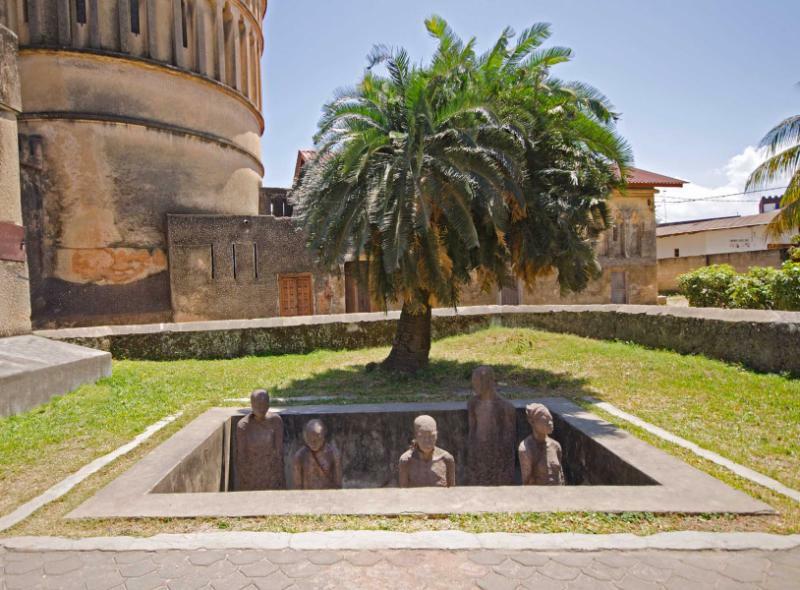 You will travel privately by boat back to Zanzibar Town and check into the many alleyways, where your hotel will be one of the traditional coral houses for which Stone Town has become a World Heritage Site. You will then head to the rooftop for dreamy views before taking off on a private walking tour. Palace opulence will unfold in the House of Wonders. Bells will chime softly in the Anglican Cathedral of Christ Church, which is barely a street away from the muezzin’s call to prayer from Malindi Mosque. Sounds will echo down the lanes, and sometimes you will be guided by smell, primarily when the Darakani Bazaar draws near. Large piles of spices can found here. You will be able to feel the excitement and charm of the traditional market because Darakani has barely changed in centuries. As you travel further through Stone Town, you will marvel at all the wooden doors, each intricately carved as a symbol of a household’s wealth. Some, like that at Tippu Tip’s House, hide secrets. Others open into Persian architecture like the Hamamni Baths. After dusk, you can dine at the street stalls in Forodhani Gardens, or you can head up to a rooftop bar for cocktails during the gorgeous sunset. Zanzibar mostly traded slaves and spices. A slave cave provides a sobering moment on route to a spice plantation, which is not the prettiest sight, but an excellent opportunity to understand a little more about the island’s rich history. Then, at the plantation, your nose will take over. Cardamom, vanilla, cloves, lemongrass, turmeric, pepper, and other fragrances will intoxicate your nostrils as you take a tour, with each section of the farm having a pungent odor. A half day tour will cover you with colors and fragrances. Once you are back in Stone Town, you can have a look around the antique stores and boutiques. The town has some excellent rooftop restaurants, as well as a number of cocktail places that are located along the coast. You can also choose to stay in the hotel, maintaining your privacy from the previous few days. It will be about an hour north, back to the white sand where you will settle into a contemporary lodge that will be located just west of the island’s northern tip. 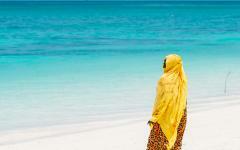 The north of Zanzibar has the island’s most beautiful beaches. 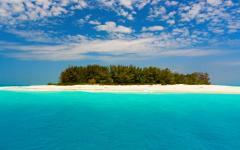 Nungwe is the most famous and best-developed beach destination on the island. If you wander a few miles west, you will reach Kendwa where the sands are broader, and there are not as many hotels. You can walk further west from Kendwa, which is where your lodge will be located. From your whitewashed pavilion, there will be beautiful views of the bay. By tucking the pavilions into the trees, all the resort’s guests can enjoy full privacy while still being only a minute or so from the beach. Like all of Zanzibar, the beach is not technically private. However, there are no other resorts in the vicinity, and the sand is only really shared with a handful of local fishermen from a nearby village. 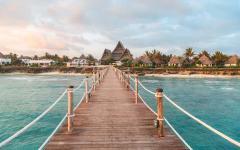 You can take a walk towards Kendwa, splash into the tropical shallows, or just relax around your pavilion. Your room will feature a private swimming pool, shaded deck, an open-air bathroom beneath the stars, and an architectural style that has been inspired by local Arab and Persian designs. Private butlers will bring you whatever you need, and there is an excellent spa should you wish to settle even further into the tranquility. Although the three days in Kendwa will be left at your leisure, one day with a wooden dhow has been included that you may use whenever you wish. 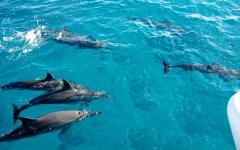 By sailing privately by dhow, you can visit small islets and sandbanks, head out to snorkel and dive spots, or just drift around searching for passing dolphins. You are will be able to bring meals and drinks on board, and your cruise can be anything from one hour to a full day, depending on your interests. 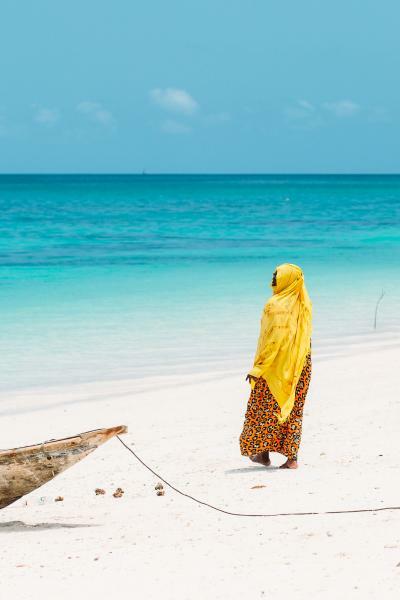 It is possible to sail eastward, so you can go alongside Nungwe and Zanzibar’s most famous beaches, before heading back west for the prime sunset views. This day with a dhow could be used yesterday or the following day as well. 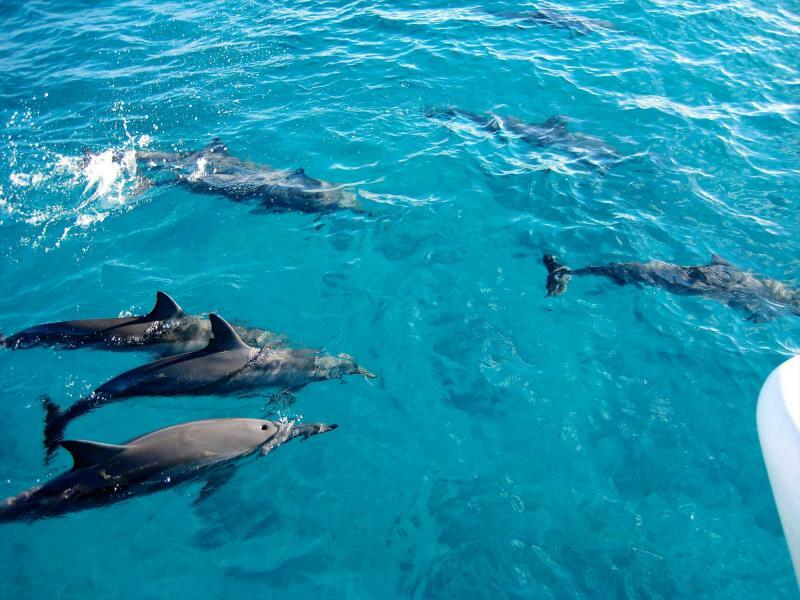 You may also consider a sunrise cruise, especially if you want to see dolphins as this is the most common time of day to spot them. A final day in Kendwa and you will be fully tuned into the island life. You may order breakfast to your room and eat it slowly, perhaps with your feet in the pool. Then, you can head to the beach and walk as far as Nungwe, or dip into the ocean and wonder how the waters have become such a turquoise color. Furthermore, you can go out for a snorkel or join a local guide on a fishing excursion. As is usual in Zanzibar, the tide goes out a long way, so the only thing to think about it when to walk and swim. Low tide will be excellent for long walks, but mid tide and higher will be the most ideal for swimming. 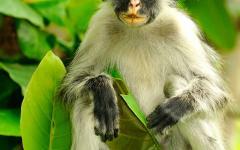 Kendwa can also be used as a base to explore more of the island, such as the monkeys in the Jozani forest or The Rock restaurant. 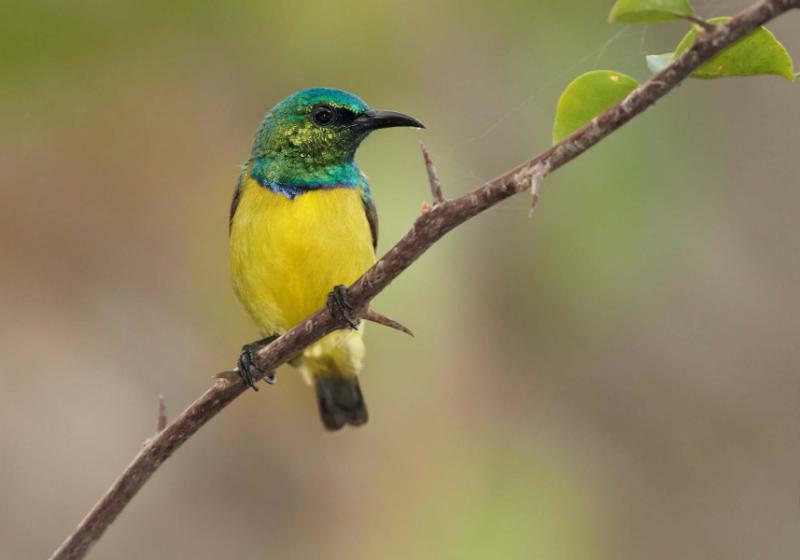 However, as Kendwa is far in the north, visits like this are best planned as part of your transfer from Stone Town to Kendwa as this will save travel time. You will have a relaxed morning, and decadent breakfast. Soon it has to end, and you must think about putting your shoes on again. Before you do so, take your time this morning before an early-afternoon airport transfer returns you to Zanzibar Town for your outbound flight.